He may be relatively new to the recruitment industry, but that hasn’t stopped Azamat Erzhanov from making an immediate impact. Since joining CNA as a Franchisee in 2013, he has overseen the opening of branches in Slovakia, Romania, Ukraine, Slovenia and Hungary, each of which is successfully recruiting in great volume and scope. 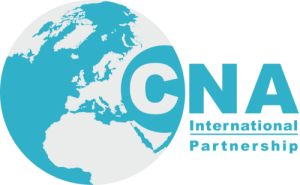 The married father-of-two has even bolder plans for the future as he aims to open a further 25 to 30 offices within the next 3 to 5 years.Here, Azamat gives a thoughtful insight into how he operates as a businessman and how CNA International ticks all the right boxes for his ambitions. My experience in the recruitment industry is just about a year. At the same time, I was involved in the different types of recruitment for the companies I have worked with in the past – EY, Deloitte, G4S, Grant Thornton. I wanted to invest my time, energy and resources into the recruitment business. At the same time, I wanted to be part of known and well-developed brand with its industry knowledge, well-developed standards and methodologies. I wanted to join the group who would be interested to expand into the CEE and CIS. CNA offers all that I am looking for. The ambitions are big and my plan is to build the regional network of CNA in CEE and CIS. I am planning to open, build and develop up to 25-30 offices within the next 3-5 years. I have started the business in 2013 and by today have opened the offices in Slovakia, Romania, Ukraine, Slovenia and Hungary. The plan is to have up to ten offices by end of 2014; up to 20 by end of 2015; up to 25-30 by end of 2016. This could be changed/adjusted/delayed, but we should be in the position to cover all CEE, CIS and Turkey by end of 2017-18. I started my working career back in 1985, just after returning from Soviet Army service. I was studying in University, during the evenings, whilst working. After finishing university with an economist diploma, I moved into the accounting department before progressing to Deputy Chief Accountant within three years of work. In 1989, I joined first state-owned audit company and in 1990 moved to Ernst & Young. I worked for Ernst & Young from 1990 – 2002 having joined them as audit senior in Moscow before moving to Kiev office in 1991-1993. I then went back to Kazakhstan in early 1993, was seconded to Seattle office of Ernst & Young in 1994-1995, and became Partner of Ernst & Young, Central Asia in 1998, and Co-Managing Partner in 2002. In 2002, after unsuccessful combination of EY and Andersen, I left EY and joined Deloitte, as Managing Partner. With me almost 70% of “legacy EY” people moved to Deloitte. Started with one office in Kazakhstan, comprising 40 people, we grew to the Regional practice of eight offices with 400 people in three years. In 2006, I moved to the large private group in Kazakhstan as VP. I had various positions within this group, including the CFO of $10 billion assets bank. The bank successfully completed IPO on LSE in 2007. I was, in 2009-2010, the Country Managing Director of G4S Kazakhstan and grew the business from $20m to almost $40m within one year. Then I moved to G4S Romania, in 2010-2011 and worked there as interim Country Managing Director. In 2011-12, I have started and established the Grant Thornton practice in Kazakhstan. Currently, it is fifth largest audit company in the country with around 60 people and $3-4m turnover. I am Certified Public Accountant (CPA) with American Institute of Certified Public Accountants (AICPA). But more relevant are my experiences, not just qualifications. Please explain a little about the recruitment opportunities available in the countries in which you operate. We will cover 28 countries and have offices in Slovakia, Ukraine, Romania, Slovenia and Hungary. The region (CEE and CIS) represents huge opportunities for us. There are all the major industries presented in the region: Energy; Financial Services; Professional and Business Services; IT and Technologies; Automotive; Manufacturing; FMCG and Retail. As you can see from the above examples, we are not working on Executive / Top levels. This is due to the fact that countries we are operating in now are not the major economies of the region and therefore, we are focusing more on volume type of work. The strategy will be different for those larger markets in the region – for example Russia. CNA has great methodology (CABS) and offers high quality training and support to us. It is also very important for us to be part of such large and diversified group as Pertemps Network Group. There many things that need to be done from our side to enable us to be better-connected with other CNA and Pertemps offices. We will invest more time and resources to establish strong communication and networking with the rest of the group. Hopefully, those initiatives will result on more business opportunities for all parties and sides. I have strong knowledge of Professional Services Industry, Security Solution Industry and Banking. I have cross-regional experiences in CEE and CIS. I have many years of successful experiences to build, lead and grow regional practices. I am bringing with me the best practices of how to build, develop, manage and lead consulting practices – this is often missing in the recruitment companies. What do you see as the biggest challenges to your business and how to you plan to overcome them? There are many challenges we are going through and will continue to go through, but I could not highlight the one that we cannot overcome or which makes me at all nervous. There will be many difficulties and issues in front of us, but nothing that could stop us from achieving our plans and targets. What’s life like for you away from the office? I am married with kids. Our oldest (daughter) studied in USA, and is now working as Marketing Manager in Moscow. Our youngest (son) is with us in Bratislava. He is at Secondary II this year. I like sports and was the member of the Kazakhstan Youths National Football Team, but it was long time ago. I would like to invest more of my personal time into golf and planning to re-start training this year.